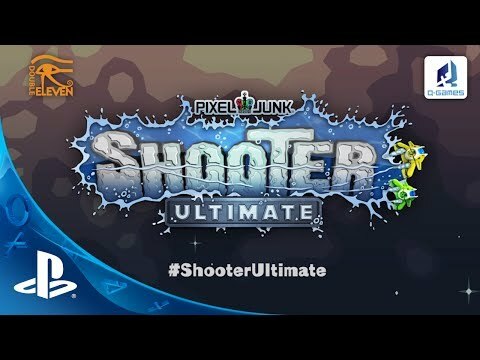 PixelJunk Shooter Ultimate is a twin-stick shooter with equal elements of action, exploration and puzzle solving. Purchasing this content entitles you to both the PS4™ and PS Vita versions! Saving scientists and uncovering the mysteries of an ill-fated research trip requires you to study and manipulate your environment. Blast and dig through rock and ice, unleashing floods of water, lava, gas, magnetic oil and even deadly stomach acid, all powered by an advanced fluid mechanics simulation. © 2014 Double Eleven Limited and Q-Games Ltd. PixelJunk is a trade mark of Q-Games Ltd. All rights reserved.